This box is a winter/holiday edition box which I think is super cute! I have never heard of this brand before and this full size lipgloss retails for $17.50 USD. This is bright pinkish red gloss with medium to full coverage. It is lightweight with a hint of scent of mint to almost nothing. 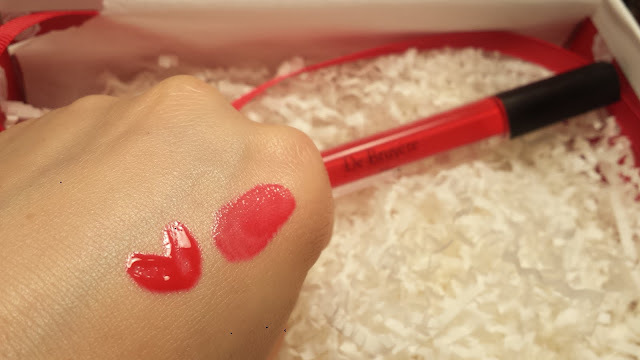 I like this lipgloss as it is quite comfortable to wear and the shade is not too bold for everyday. The bright color might be more suitable for spring/summer time. 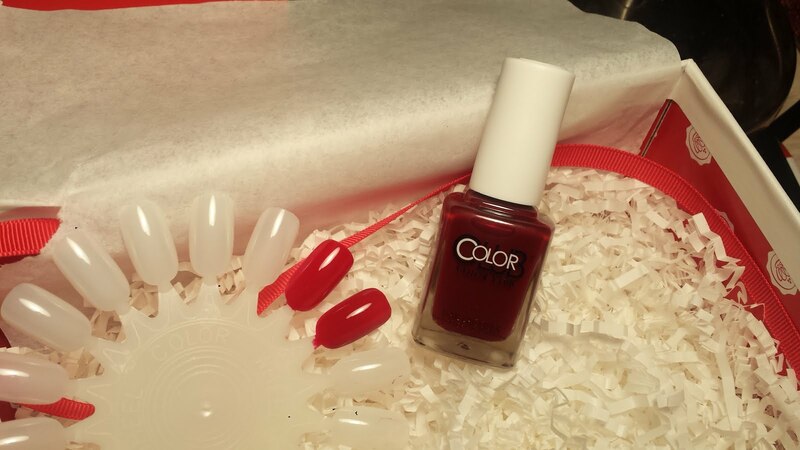 Color Club - Nail Polish in Feverish - 0.5 fl. oz. Yay for nail polish! I don't have too many Color Club polishes and sure want to try more since I heard that they are great. This is a gorgeous burgundy or deep red color perfect for winter! Love the shade! 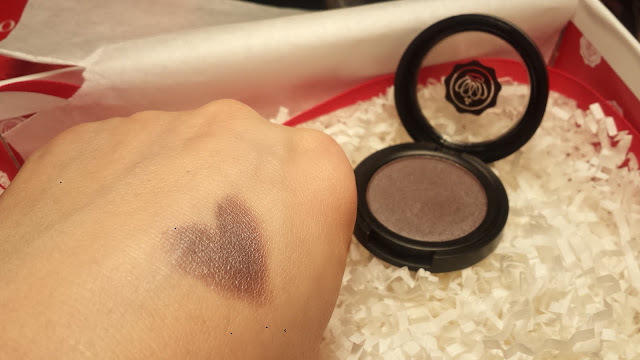 Glossybox - Eyeshadow in Mauve - 0.11 oz. 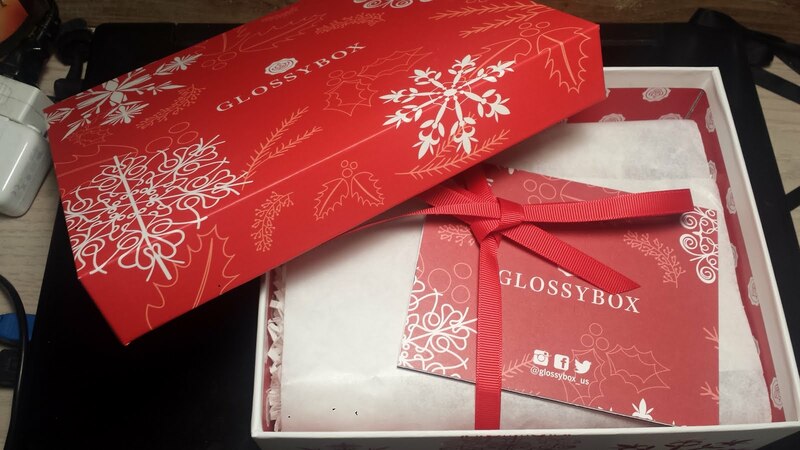 I didn't know Glossybox make their own makeup products! This mauve shade is very wearable and I think most people would like it. It has a slight hint of soft purple/lilac under certain lighting. It can be a everyday light wash over the lid color or a more intense smoky eye effect. The texture is quite creamy as well. I am impressed! 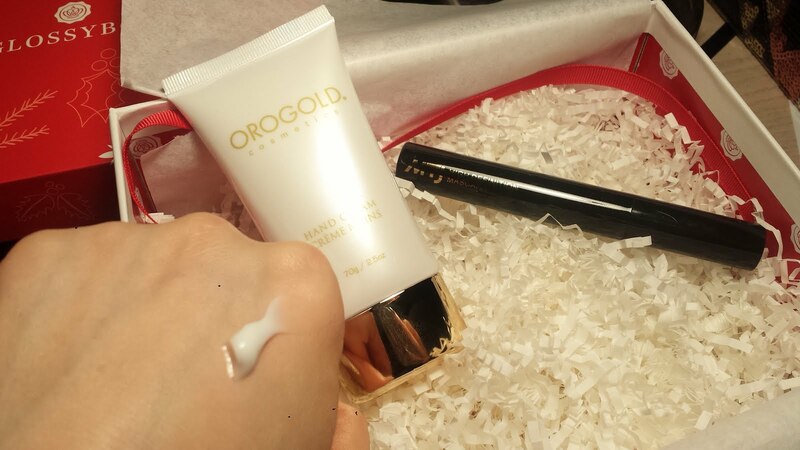 Orogold - 24K Hand Cream - 1 oz. I was a bit disappointed when I squeezed the hand cream out and did not see any gold flakes! The name "24K" certainly confused people. Other than that, it is a good hand cream with medium texture and absorbs quickly into the skin. I like it. MTJ Cosmetics - High Definition Mascara - 0.32 fl. oz. I have never heard of this brand before. On the description card it says this is a non-clumpy and long lasting mascara with lots of drama. I will sure try this out but I still have a line up of new mascara to use, so it will take a while. Haha.